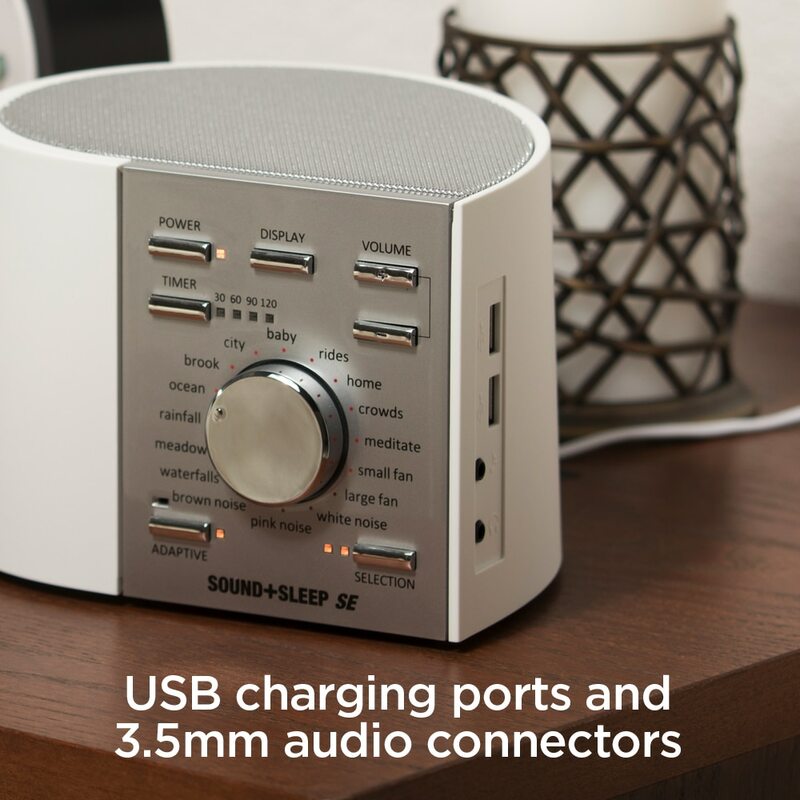 SOUND+SLEEP SE is the world’s most advanced sound machine to help you sleep better. 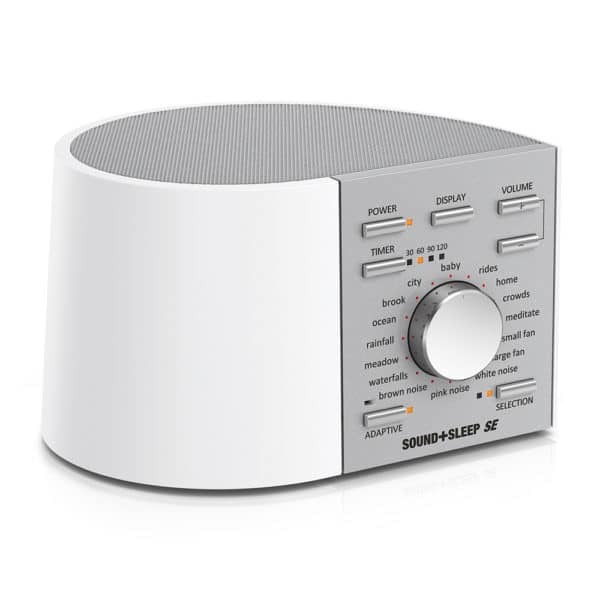 It offers 64 distinct sound profiles scientifically engineered to promote deeper sleep, relaxation, and renewal. 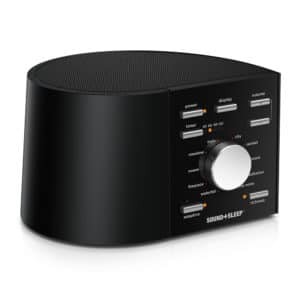 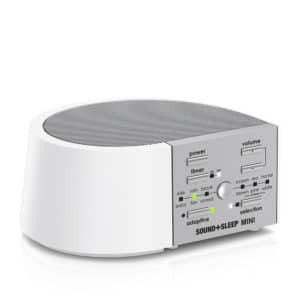 Unlike other “White Noise” sound machines, SOUND+SLEEP SE uses naturally recorded, high-definition sounds that constantly evolve and never loop, eliminating all audio repetition for real-world natural sound experiences. 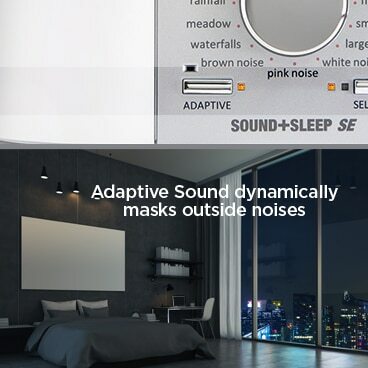 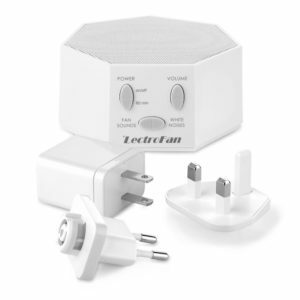 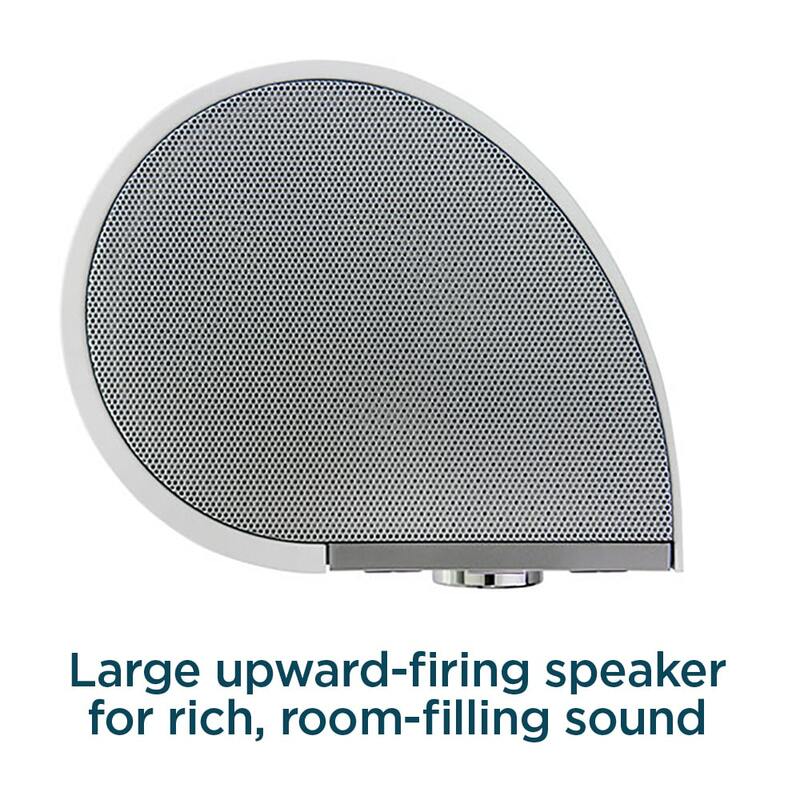 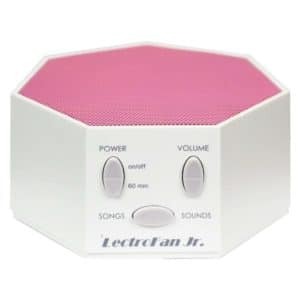 In addition, the SE features patented Adaptive Sound® technology empowering the machine to intelligently listen to your environment and automatically raise volume to mask out unwanted noises. 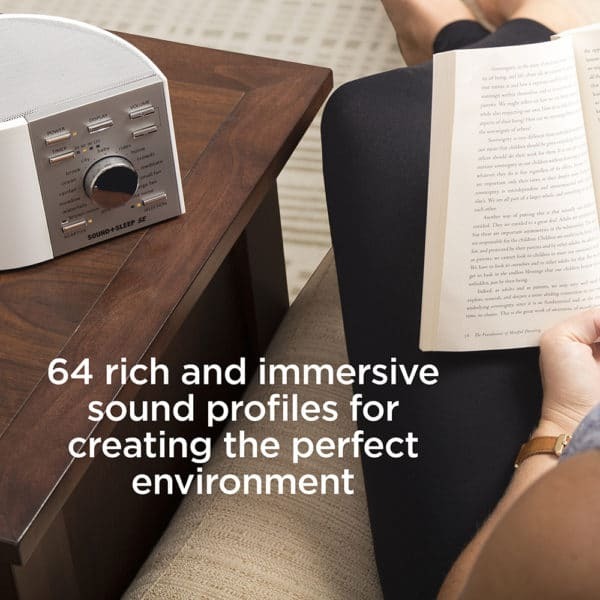 With “Adaptive” mode on you get a smart machine giving you the best volume experience. 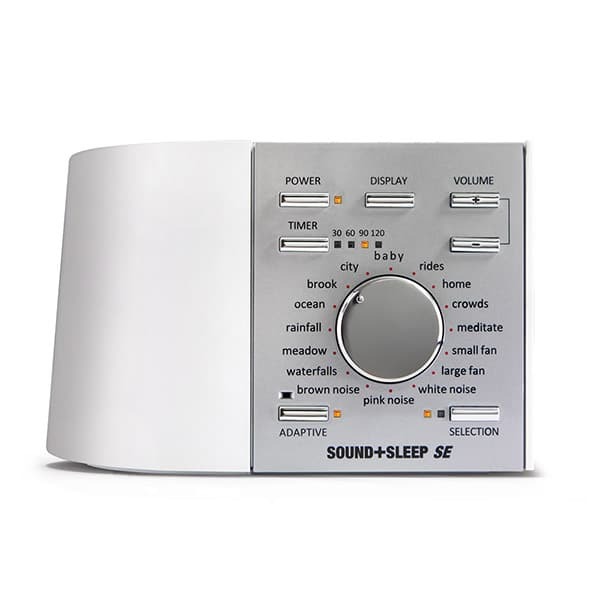 Sound+Sleep SE offers 16 sound categories, each with four variations, for 64 unique SoundStories. 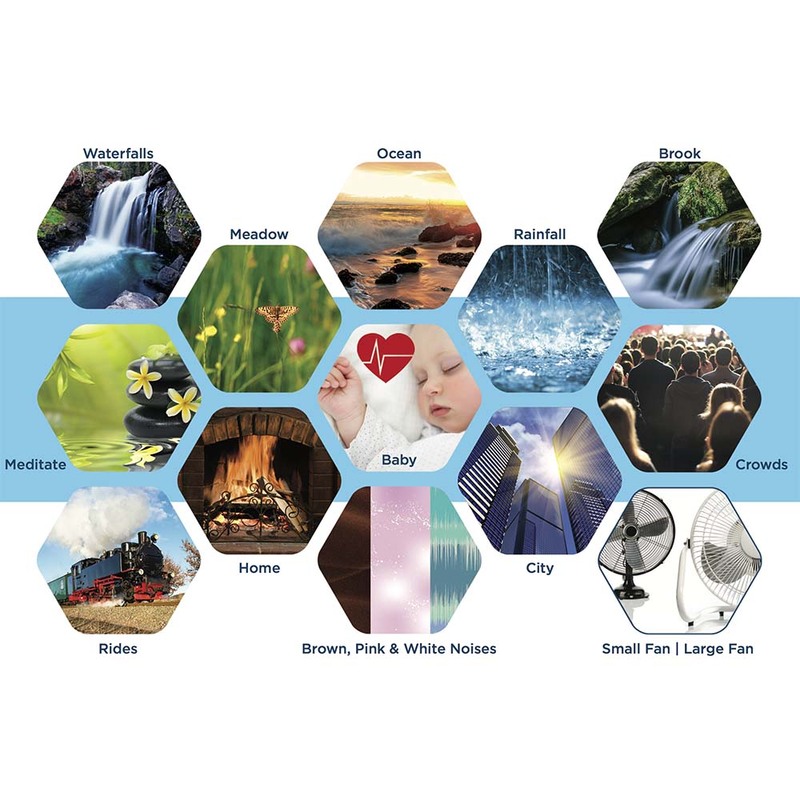 Here are just a few samples. 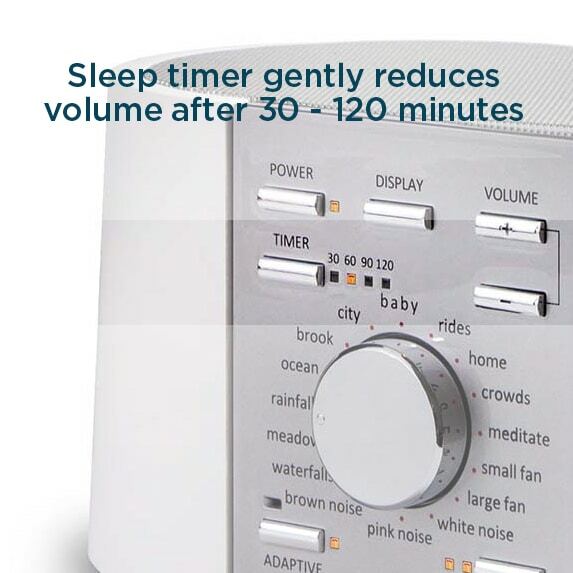 Sleep better. No prescription necessary.